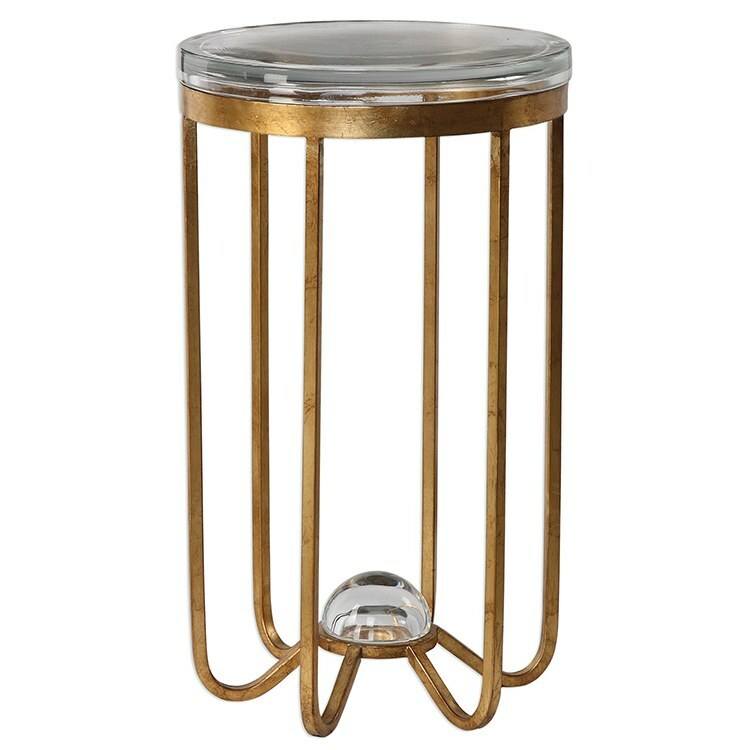 Adding a touch of glam to your room is easy with this Allura accent table. 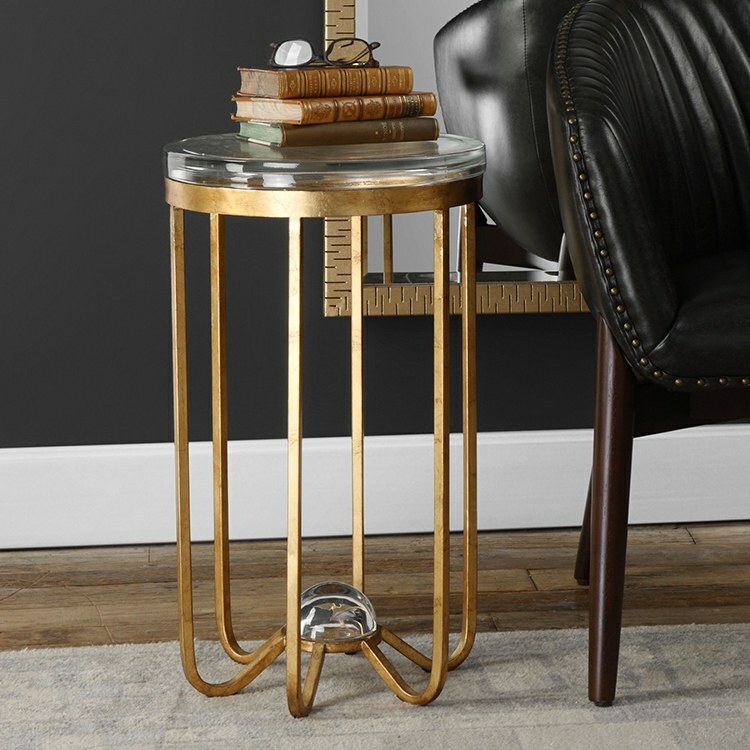 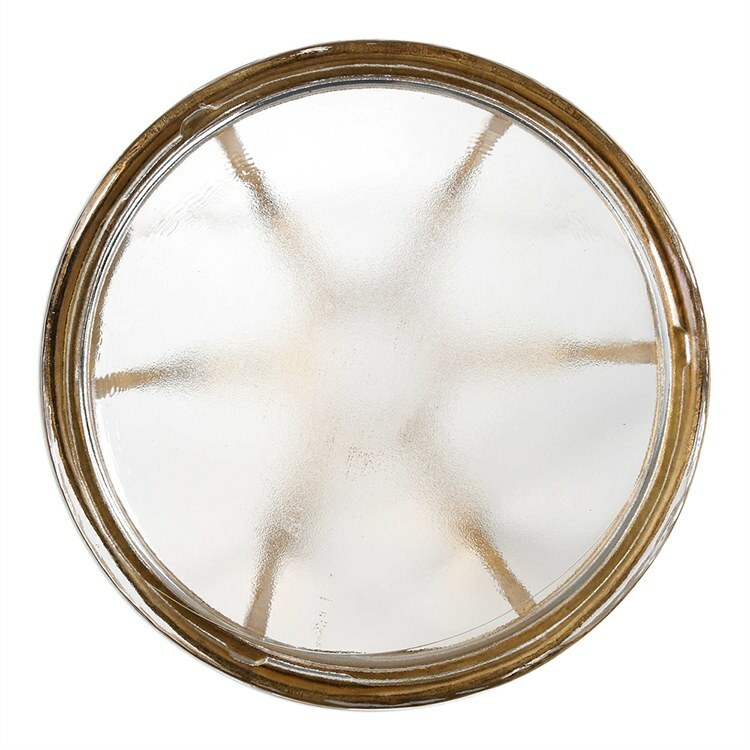 Featuring thick rounded block glass, on elegant hand-forged iron with a hand-applied, lightly antiqued gold leaf, this classic accent piece is both elegant and stylish. 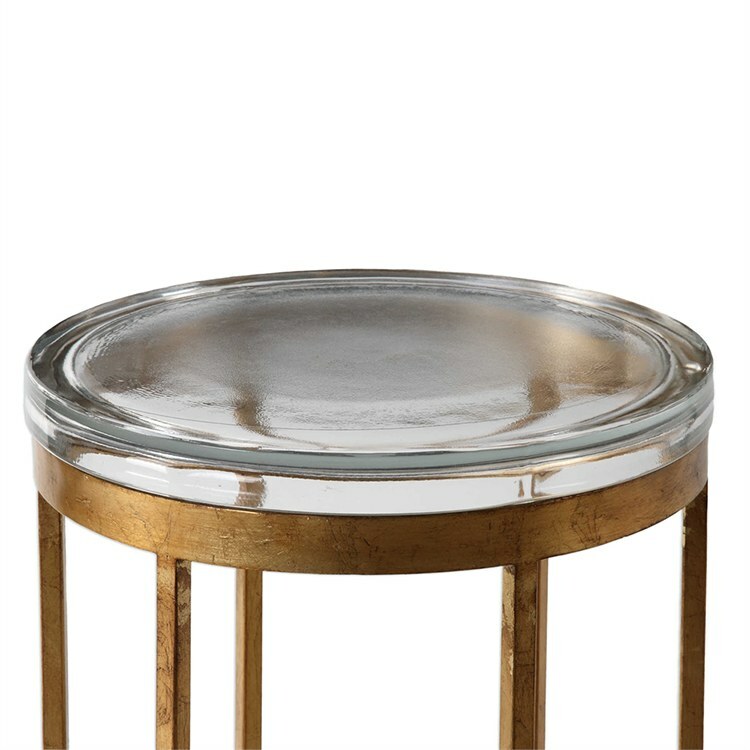 For 40 years, Uttermost's mission has been to make great home accessories at a reasonable price. 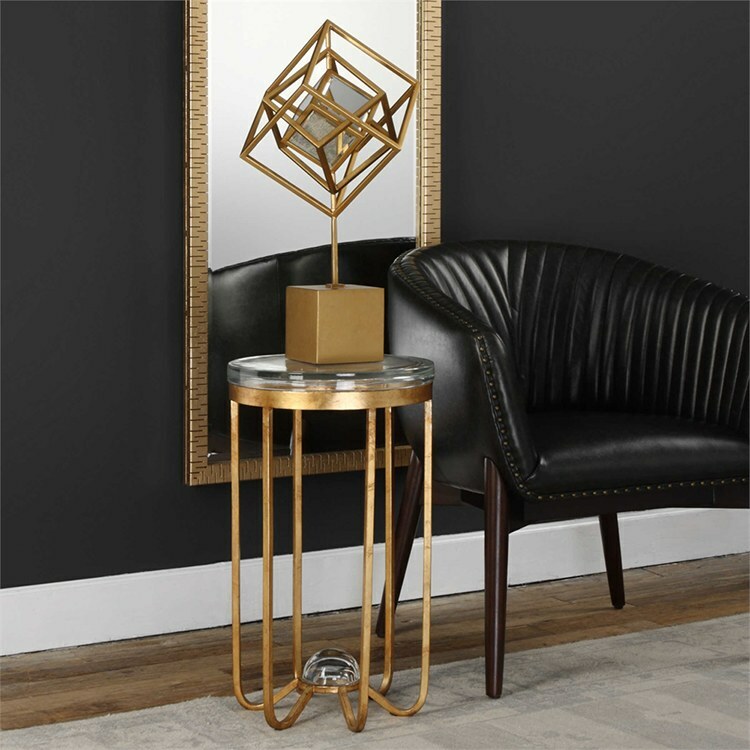 The company offers a wide selection of accent furniture, decorative mirrors, alternate wall decor, art, clocks, lamps, lighting fixtures, rugs, and accessories. 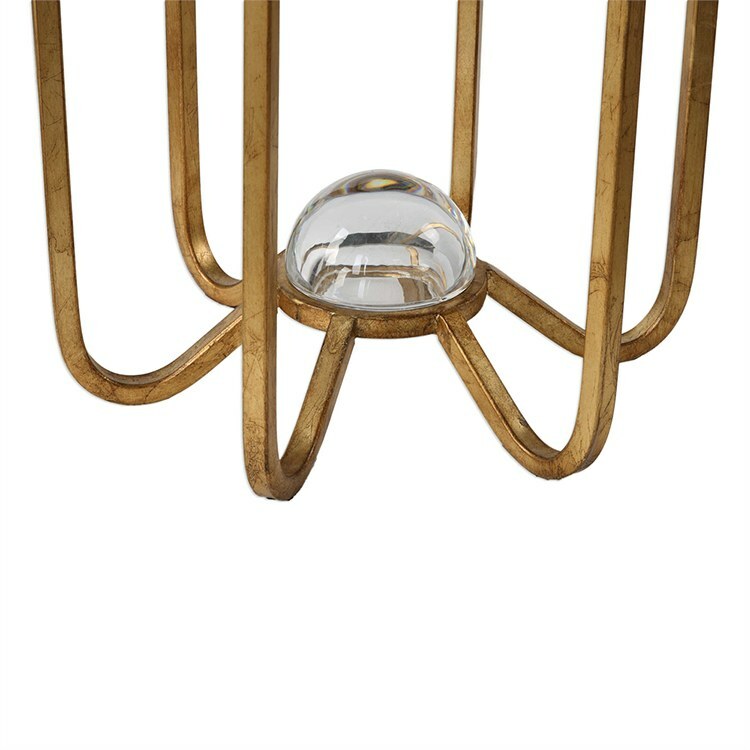 Riverbend Home is an authorized reseller.